I have the sensors, but need the bracket, the preformed line and the fitting to correct the installation. I may be readin this wrong but, where does this go ? 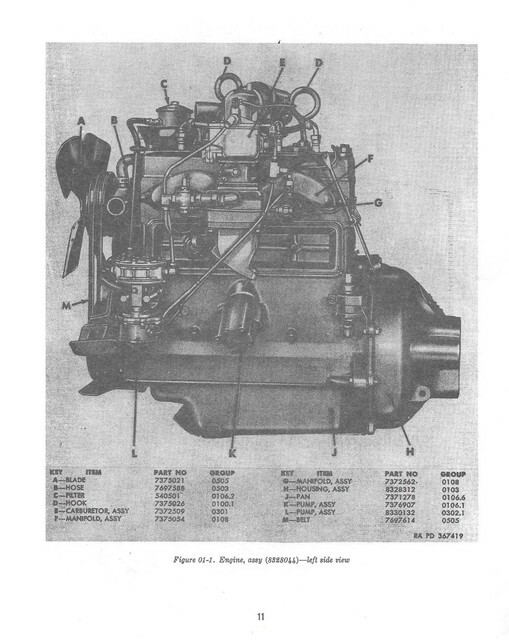 On the side of the block, drivers side, just above the port in the block for oil pressure. in the lower left of the linked picture. I can get the fittings from McMaster-Carr as the SNL tells what they are. 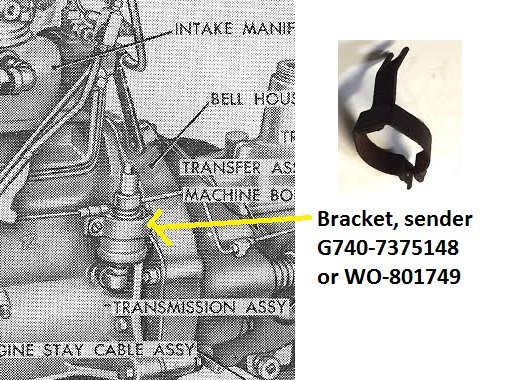 I guess what I really need is the support bracket G740-7375148 or WO-801749. The reference to tubing is what threw everyone off. The sender on the M38 mounts on a 90 deg fitting setup at the lower left side of the block and you had folks thinking you really wanted the tube and bracket for the M38A1 which mounts on the upper right side of the block. Midwest Military, Kaiser-Willys and Tonka Jeep Parts are just a few that offer that bracket new. Midwest Military has the support bracket.